Attorney Profile | Law Office of Kelly A. Rodenas, P.A. If you are worried about the prospect of foreclosure or are in the midst of a landlord-tenant dispute, you can depend on Kelly for excellent legal service. A highly respected Florida real estate attorney, Kelly works hard to deliver the case resolutions her valued clients desire. Kelly Rodenas boasts an excellent background, both as a student and as an attorney. Over the years, her work ethic and passion have allowed her to accomplish great things. Her journey in the field of law began at Keiser University, where she majored in criminal justice. From there, the aspiring attorney moved on to the esteemed Florida Coastal School of Law. After obtaining her Juris Doctor, she served as a staff attorney at Consumer Attorney Services, and, later, an associate attorney at Mearkle | Trueblood | Adam, PL. 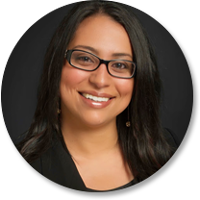 Today, this talented lawyer offers a variety of services through the Law Office of Kelly Rodenas, P.A. A versatile and incredibly knowledgeable lawyer, Kelly is able to help clients with a wide array of legal concerns. She is especially passionate about legal issues related to real estate, particularly when the prospect of foreclosure comes into play. A proud mother of two lovely young daughters, Kelly understands the importance of having a stable home in which to raise a family. She wants to ensure that her valued clients can achieve this, which is why she works hard to help them keep their homes. This same principle comes into play when the respected lawyer is dealing with landlord-tenant cases; she is dedicated to helping clients in the midst of legal issues involving their apartments and rental homes. The ideal attorney possesses a thorough understanding of the local legal system, as well as the ability to communicate effectively with clients. Also essential is a sense of compassion, as this greatly enhances a lawyer’s ability to connect with clients and, ultimately, deliver the case resolutions they desire. Kelly is proud to offer all of these qualities and more. She is known for her empathetic nature and her dedication to excellent results both in and out of the courtroom. If you require legal advice or representation from a trusted Sarasota lawyer, do not hesitate to get in touch with the Law Office of Kelly Rodenas, P.A.